January 12, 2014 by David Shields. Average Reading Time: about 4 minutes. George Fash Nesbitt was born January 13, 1809 in New York City to James Nesbitt and Maria Carolina Fash. Nesbit apprenticed as a printer under his uncle Joseph C Spear. Upon his uncle’s death in 1828, George Nesbitt assumed control of his uncle’s thirty-three year old printing business. 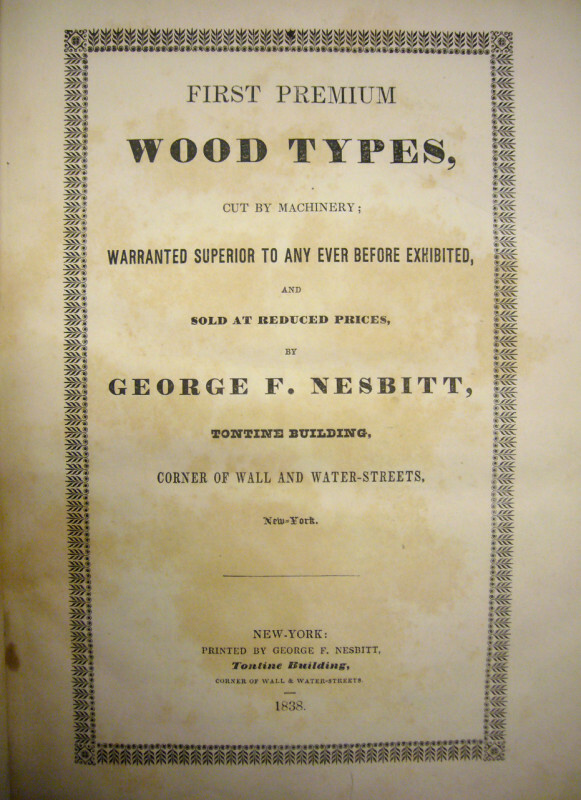 By 1831, the business was operating under the name of George F Nesbitt at 117 Water Street in New York City, and in 1840 the business was renamed George F Nesbitt & Co.
Nesbitt produced at least four wood type specimen catalogs showing Allen’s types, though only two are known to remain in existence. 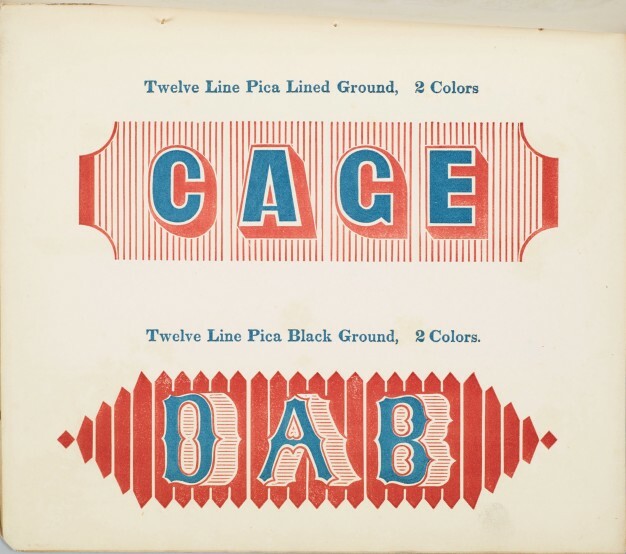 Both copies are housed in the American Type Founder’s Library Collection held at Columbia University. First Premium Wood Types, Cut by Machinery (July, 1838). 7 × 10˝, 272 pages. From the Rare Book and Manuscript Library, Columbia University. 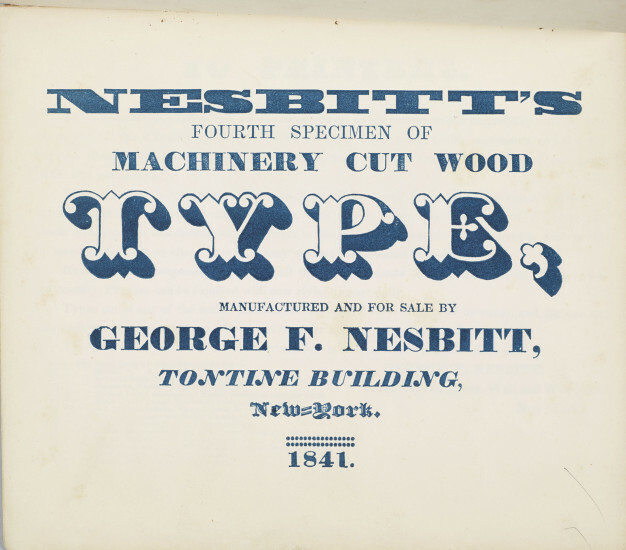 Nesbitt’s Fourth Specimen of Machine Cut Wood Type (1841). 7¾ × 8¾˝, 10 pages. From the Rare Book and Manuscript Library, Columbia University. Interior page of Nesbitt’s Fourth Specimen of Machine Cut Wood Type (1841). 7¾ × 8¾˝, 10 pages. From the Rare Book and Manuscript Library, Columbia University. Allen continued to produce wood type in Connecticut for Nesbitt until 1852 when Allen sold his wood type manufactory to JG Cooley. Allen would continue to work with Nesbitt inventing and perfecting envelope-folding machines until Nesbitt’s death in 1869. George Nesbitt had an inquisitive mind and an industrious nature. 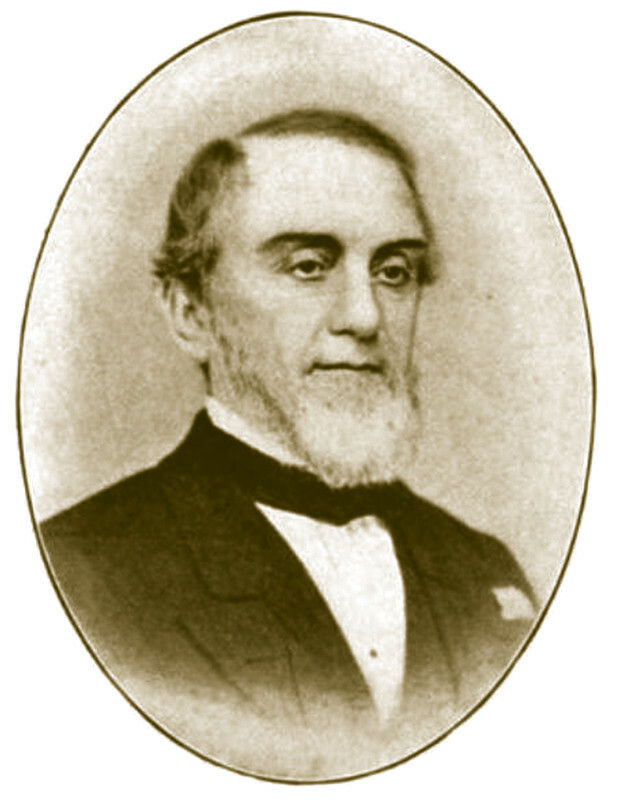 Under his progressive management, George F Nesbitt & Co grew and prospered. In 1840 he planned a printing machine to produce several colors at one impression. This invention proved to be a success. By the mid-1840s his printing house became the largest job office in the city arguably doing more work of this nature than any other in the region and possibly in all of the United States. 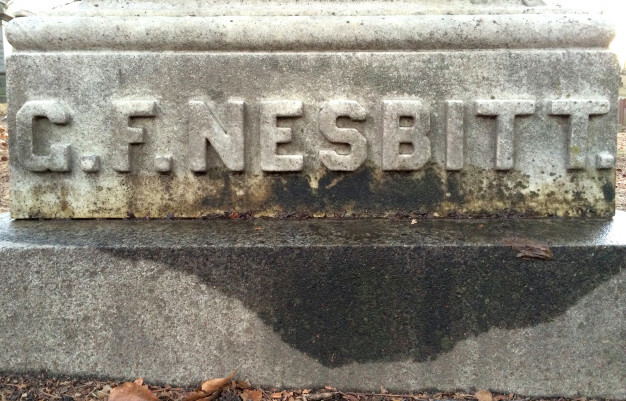 George Fash Nesbitt passed away on April 7, 1869. As a testament of Nesbitt’s far ranging influence, his funeral services were attended by “numerous delegations from the Typographical Society of New York, Typographical Union No 6 and the Mechanic’s Association” as well as other prominent New Yorkers and in a touching show of respect “the leading stationers of the City closed their stores and attended.”7 He is buried in Green-Wood Cemetery, Brooklyn 8 and there is a stained glass window at St. Paul’s Episcopal Church in Winona, Minnesota, given in memory of George F Nesbitt by his family. George Nesbitt’s grave stone at Green-Wood Cemetery in Brooklyn. Special thanks to Nick Sherman for permission to use the photograph.